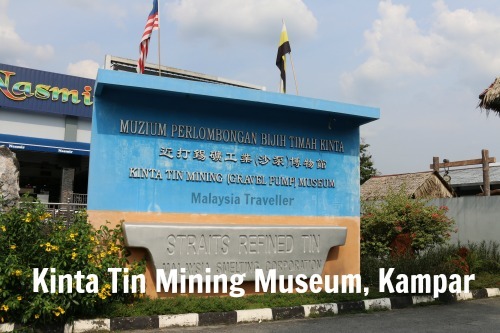 The full name of the Kinta Tin Mining Museum is the Kinta Tin Mining (Gravel Pump) Museum. It is located in Kampar, which, as part of Perak’s Kinta Valley, was an important tin mining centre from the late 1880s, through its heyday in the 1920s, up until the 1970s by which time production was in decline. 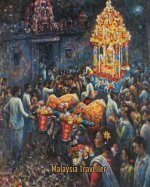 Malaysia was the world’s leading tin producer and, as you would expect, tin mining is featured in a number of museums around the country, such as Sungai Lembing Museum and Han Chin Pet Soo. This museum in Kampar focuses on the gravel pump method of extraction. It was a messy business. A glance at the map will show that the area surrounding Kampar is pockmarked with dozens of small lakes left over from tin mining activity. The mining pits were ugly at the time but now that mining has stopped and nature has worked its miracles, the lakes serve as attractive spots for housing developments, nature reserves, duck farms and so on. 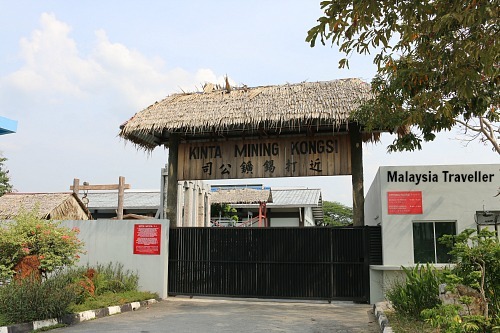 The museum was opened in 2012 and was the inspiration of businessman Tan Sri Hew See Tong, himself a former tin miner. Outdoor exhibits include gravel pumps, heavy machinery, pipes, separators and tractors. Mock ups of the old dulang method of separating tin by manual washing of ore using a pan are interesting. Life sized mannequins of the workers, male and female, give an idea of the tough working conditions that miners had to endure. Inside (air-conditioned) exhibits include models of palong mining equipment, dioramas of typical tin gravel pits, and displays of the tools used for tin mining. Old photos and tin ingots illustrate the historical facts about tin such as the movement of tin prices over the decades. Model ships and junks are also on display. Well worth a visit. Take note that the museum closes early on weekdays so you need to plan your trip accordingly. The museum is located close to the Grand Kampar Hotel. Free parking is available outside the museum. The Grand Hotel Kampar is the town’s most impressive hotel and reasonably priced. Other alternatives are available. 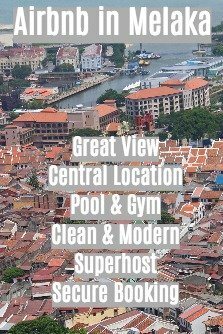 Click on the Agoda advert below to see a full list of Kampar accommodation at discounted prices.